The disaster of a season continues for the New York Giants. Jenkins is suspended indefinitely. "As a member of this team, there are standards and we have responsibilities and obligations," coach Ben McAdoo said in a statement. New York Giants cornerback Janoris Jenkins has been suspended indefinitely for a violation of team rules. The suspension takes effect immediately, meaning Jenkins will miss Sunday&apos;s home game against the Rams. Coach Ben McAdoo said he will review the status of the suspension next week. The NFL trade deadline has been way more active this year. 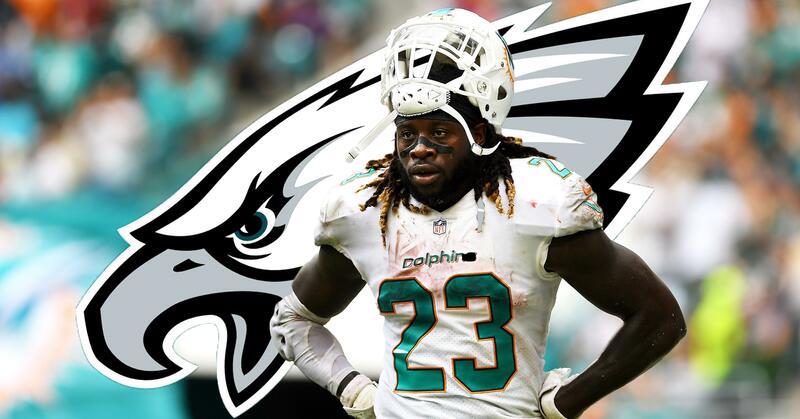 Tuesday an even bigger trade when it comes to Fantasy Football implications went down, with the Philadelphia Eagles acquiring Jay Ajayi from the Miami Dolphins. Brad Evans: Ajayi to Philadelphia certifies this year’s deadline the most active and most fantasy impactful in NFL history. After more than a year of trade rumors involving Jimmy Garoppolo, the New England Patriots are finally dealing the fourth-year quarterback. The Patriots have traded Garoppolo to the San Francisco 49ers in exchange for a second-round draft pick, the teams announced on Tuesday. Garoppolo, who started a pair of games in 2016 while Tom Brady was serving a four-game suspension, goes from the defending Super Bowl champions who are 6-2 this season to a winless 49ers team that hasn&apos;t had a winning season since 2013. The idea for one of the most clever touchdown celebrations of the season was hatched in Minnesota tight end Kyle Rudolph&apos;s mind right before the pass play was called that night. Fittingly enough, Rudolph found himself open seconds later for a 13-yard touchdown . Like grade-schoolers on the playgrounds where they first learned the game, the Vikings dutifully plopped down cross-legged in the grass. After more than a year of trade rumours involving Jimmy Garoppolo, the New England Patriots are finally dealing the fourth-year quarterback. The Patriots are trading Garoppolo to the San Francisco 49ers in exchange for a second-round draft pick in a move first reported by ESPN. Garoppolo, who started a pair of games in 2016 while Tom Brady was serving a four-game suspension, goes from the defending Super Bowl champions who are 6-2 this season to a winless 49ers team that have not had a winning season since 2013. After telling his players to forget about a dreadful first seven games of the season, New York Giants coach Ben McAdoo is heeding his own advice and ignoring comments by general manager Jerry Reese that his team got caught up in the preseason hype and hasn&apos;t played hungry. McAdoo refused on Monday to get drawn into a tiff with Reese as the team returned from its bye week and faced the final nine games of the season with a 1-6 record. While accepting the blame for the team&apos;s performance, Reese also had shared the blame with his second-year coach last week. Green Bay Packers’ Martellus Bennett hinted that he may be retiring at the end of the 2017 NFL season. “After conversations with my family I’m pretty sure these next 8 games will be in the conclusion of my NFL career,” Bennett wrote. This year marks his 10th season in the NFL, and his first with the Packers.